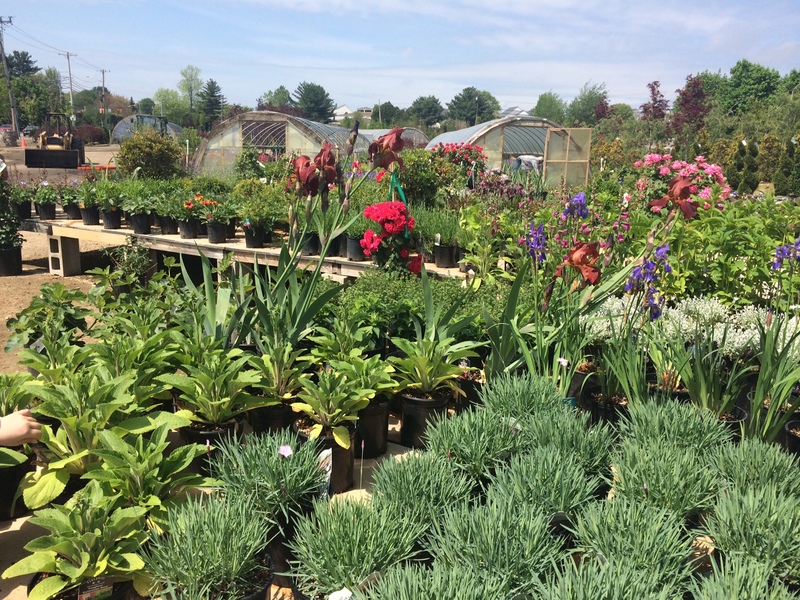 Briden Nursery’s selection of plants includes dozens upon dozens of plants, trees, and flowers. One of the ‘deals’ Geoff and I made when we moved into our house was that I would take care of all the yard and landscaping duties. Of course, this was a huge mistake on my part. Fortunately, he hasn’t held me to it. Rows of perennials in one of the greenhouses at Briden Nursery. But even with both of us working on it, keeping up a front and backyard is definitely a lot more effort than I had imagined. What did I know? When I grew up in New York City, we didn’t have a yard. I never raked leaves or watered plants or weeded gardens. After living here a few years, I am learning how to make things easier. First, I decided to convert our front yard entirely to plants instead of grass. It’s too hard to mow our steep front yard, and grass doesn’t grow well anyway. So, seeing what seems to grow abundantly with little to no effort nearby, I decided to plant a field of vinca there. Briden Nursery, as it turns out, has an abundance of perennials, including vinca for $7.50 each (half the price of Home Depot even). 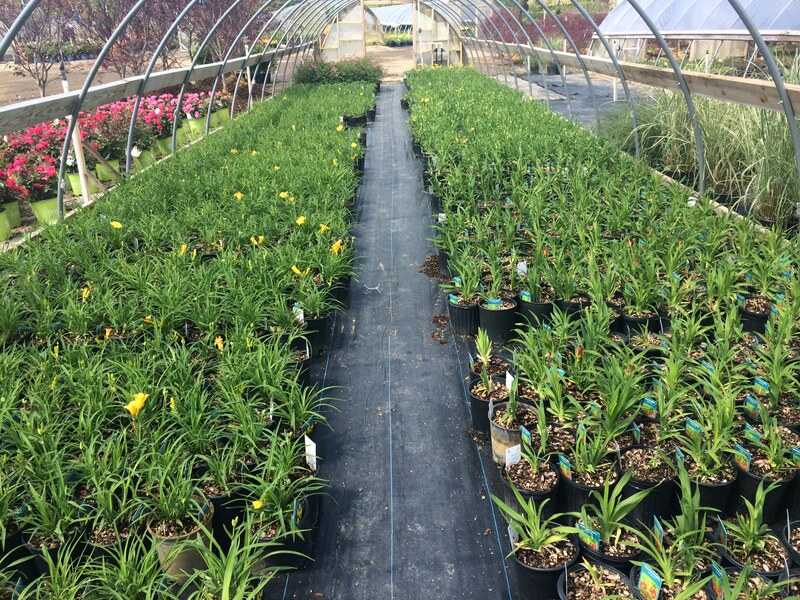 Briden Nursery caters largely to landscapers, so it’s not an in-and-out place, and you might not find the service you would at a smaller nursery. Still, their enormous selection can’t be beat, they take credit cards, and they even have Saturday hours. That’s the kind of place I’d rather buy plants from, anyway. It’s amazing what selection it looks like they have, too. Too bad I’m so far away in Carolina!